This article is related to installation and configuration of ASA on Gns3 1.1 and also include some tips for older versions of Gns3. 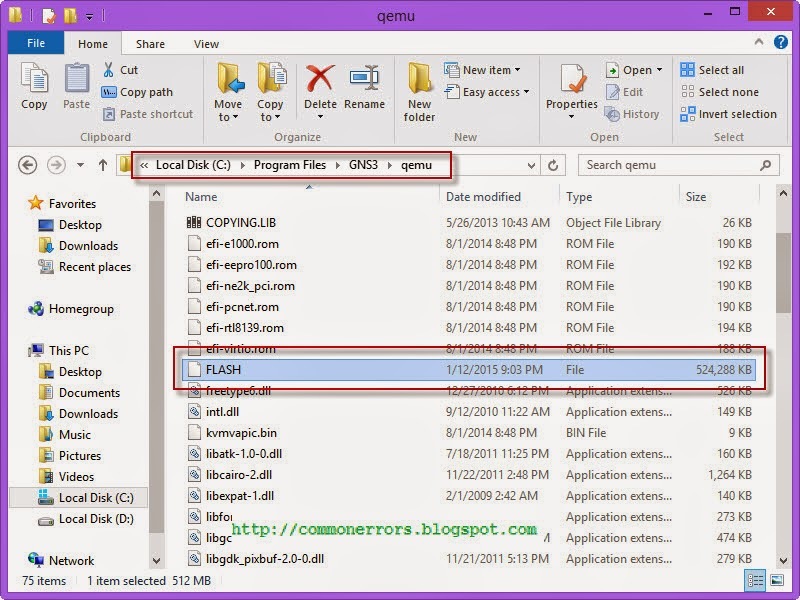 Now browse the initrd.gz & kernel files for ASA and click finish. Now you may need for flash, yo can create it easily. 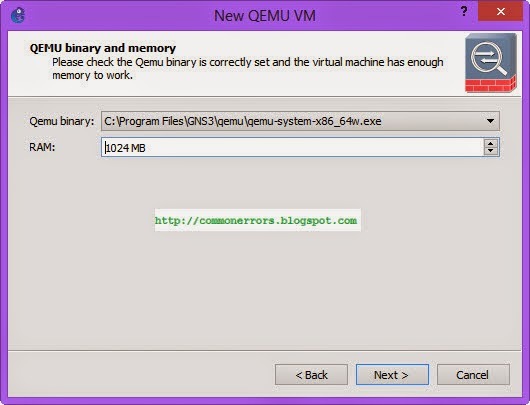 Open the “C:\Program Files\GNS3\qemu” directory by cmd (command prompt) using command cd C:\Program Files\GNS3\qemu. 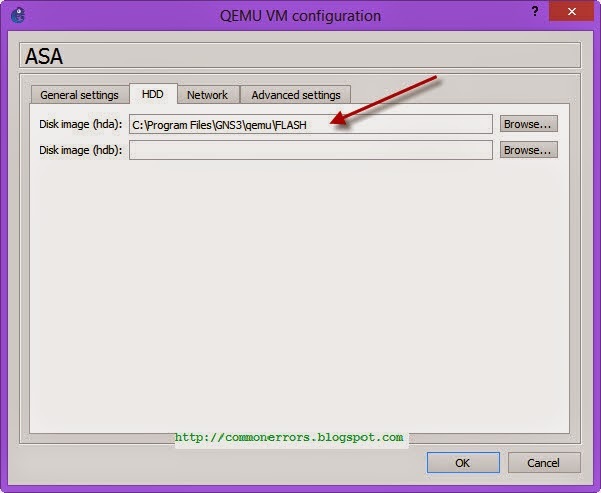 For flash type the command “qemu-img create FLASH 512M” and press enter. this will create a file flash in this directory. 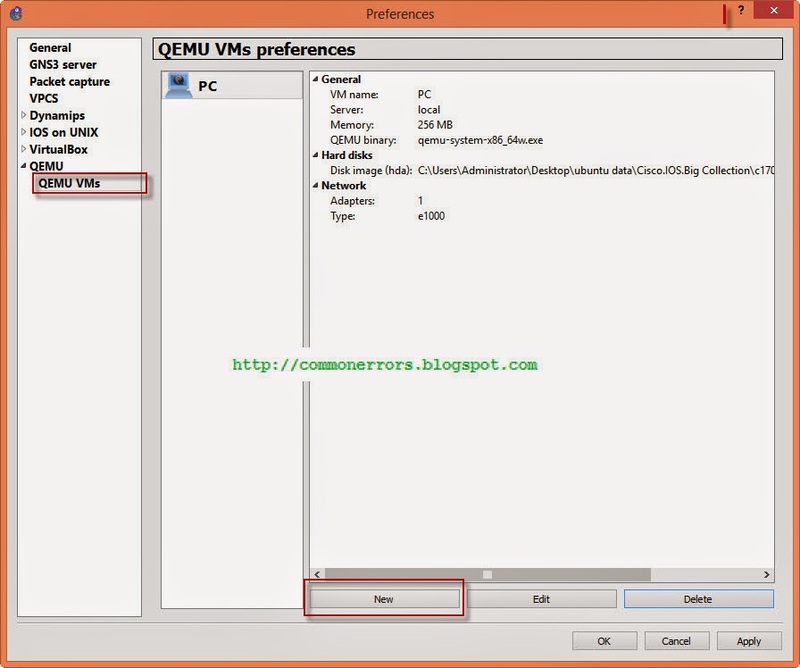 now again go to Edit \ Preferences \ Qemu \Qemu VMs & edit the ASA. In HDD tab define the path for flash. 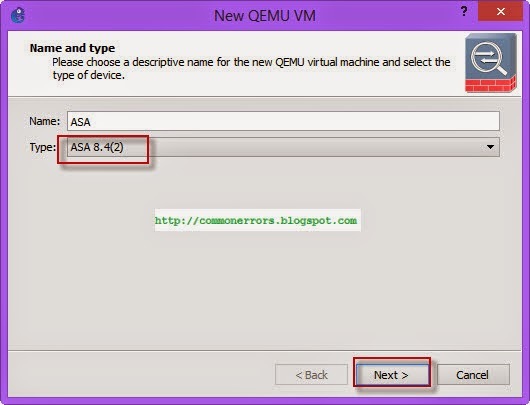 Please carefully follow these step to configure ASA in older gns3 on windows 7 or XP. Now run the gns3 open the Preferences from edit/preferences, and in qemu/ASA tab define the name for ASA and these two file i.e. "asa802-k8.kernel" and "asa802-k8.initrd.gz" in respective fileld. 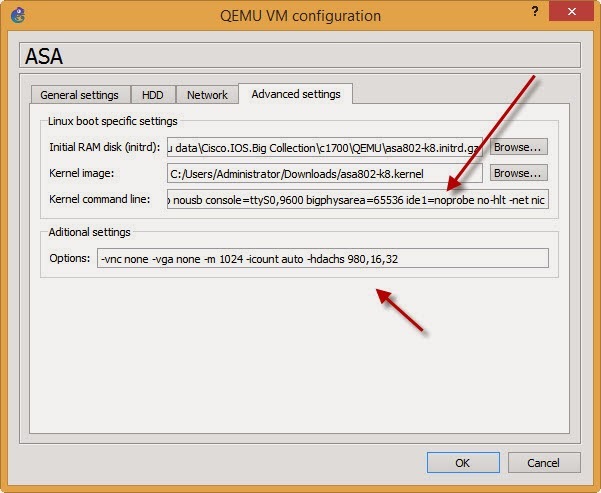 Start the ASA and a qemu console window is open don't close this window. Now open the ASA console by rigth clicking on it and after some time you received a message that copy these two commands and press enter, do this. and then you received the welcome message of ASA. If you have ASA Flash issue on GNS3 you can visit this link for resolution. Which password this pix and asa asking for ? asking for enable password which is none, just press the enter key.. Thanks you so much for this, I`ve been trying to get this working for a bout 6 days, and after your advice, its working, may the force be with you dude, respect !!!!!!!! Hey guys, I am still having problems. You said that you would explain why the console just hangs but never did. I am going nuts trying to just get started. Can someone please help me? What I am going to do is attempt to download a new image and kernel from the site that is suggested on this page but I downloaded mine originally from here Hey guys, I am still having problems. You said that you would explain why the console just hangs but never did. I am going nuts trying to just get started. Can someone please help me? What I am going to do is attempt to download a new image and kernel from the site that is suggested on this page but I downloaded mine originally from here...http://cozzi.co.uk/?page_id=6...they appear official and I did not unpack them or anything like that. Please help!! don't extract asa802-k8.initrd.gz it appear as rar file, if you extract this file and configure ASA with this file you should face console problem. make sure your files extensions should be .gz and .kernel when you define these in preferences tab. Even iam facing same issue, can someone tell me why this error is occuring. first run erase flash command to free up disk space on your ASA. then try these commands. I am at the Putty window. Noithing ever happens. Do I need to start loop back manager? Do I need to press enter? When I do all I get is # sign. I did exactly as described on this site but when I console my ASA console pops up for 1 second and closes again. Thank you so much, finally it is working now!!!!! Thanks a lot ..it works. your the best.it has worked in xp,vista and 7.took me ages trying to get a solution. your the man. I downloaded these two files,but when I add these files to qemu,I get this message:"identifier,initrd and kernel must be set.what's the problem? I tryed to follow this guide but I can't ping either the asa from the pc and viceversa. The author is good at removing posts but unable to answer simple question above, why then blogging? i cannot see the picture. is there anything i can do? For those who are not getting any response when console is launched or empty putty screen, check system requirement for running GNS. Minimum of 4GB RAM is must. If you have less RAM you can keep stop and start ASA and try launching console, sometime it might work or sometime it wont. Thanks Mr. JNK for this advice but its possible if one has less Physical RAM just need to decrease ASA's RAM and its works fine, extremely happy for your answer. Just configured and taken console. looks good. need to configure the box. After enter /asa/bin/lina_monitor command it's start to booting. how I can solve it? Thank you! here is the error message "127.0.0.1:3001 Network error : Connection refused! inactive Restart in 5sec"
Hi, Did you resolve this.... If so Please share. all I have is a .bin file for my asa 8.4 code. Where do you get the file that extracts into .gz and .kernel. I can't find anything via google. Can anyone help me with the activate console problem in GNS for ASA. Hii everone. Can u guys help me for the error comes always when i start to ASA Firewall- ASA1:error from server 127.0.0.1:10525:209-unable to start instance 'ASA1'...Please suggest me what can i do now. Guys Guys Guys...... if anyone got issues starting the ASA might this would be helpful..
open console and you will find only # (Nothing is there) dont panic..
you saved a lot of time bro. any lab scenario for test please ? Thanks you so much. Finally it worked. it's worked well in windows 8 too. I have the ASA setup, but after a while when i am running scenarios, like configuring dynamic routing . the ASA hangs. file. Then call your technical support representative. its stuck ..please guide me..
What may cause that (the given kernel image was used) ? Please help! 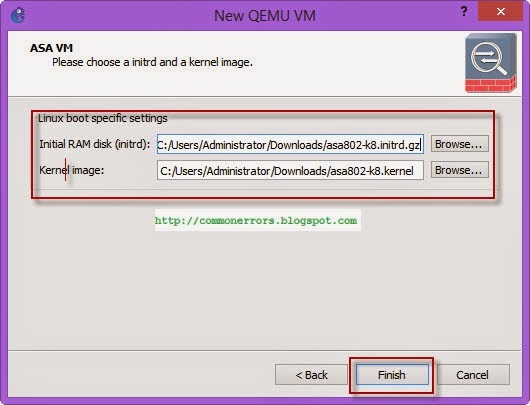 if I need to have some qemu-image file installed?? If you have flash issue with ASA you can try this link ..
what about running asdm ? Anyone can help me to fix this issue, what seems to be the problem with my ASA i follow all the procedure but still came up to this problem below. facing this error "bad gzip magic numbers" when try to console firewall in gns3. i am dons all the setting as of above details but i am facing issue in console when i open the console it's showing blank. what can i do please help me..